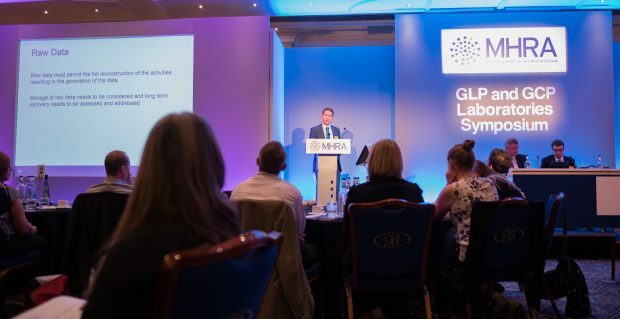 The MHRA Laboratories Symposium will be held on Wednesday 13 March 2019 at the Novotel in London. We view these symposia as a vital part of our communication strategy, giving us an opportunity to engage with stakeholders to discuss topics that are important to us all. In the afternoon, after a hearty lunch, we will be holding a session covering method validation. During the day there will also be 2 sessions called ‘Quality System Pick ‘n’ Mix’, covering some of the hot topics from across all the GXPs. Inspectors will be acting out some scenarios in these sessions - but do not expect any BAFTA award winning performances! These sessions will also be interactive so please do contribute. We will finish the day with updates from the inspectorate and an opportunity to ask questions via a panel session. In addition to the chance to meet the inspectors, these events also provide stakeholders with the opportunity to network with others and discuss common topics. I would also like to bring to your attention the recent change in contact email address for the laboratories inspection group from glp@mhra.gov.uk to gxplabs@mhra.gov.uk. So why have we changed? The scope of the laboratories inspection group covers Good Laboratory Practice, Good Clinical Practice laboratories and Good Manufacturing Practice Quality Control laboratories as well as inspections of bioequivalence clinical trials, yet this was not reflected in our contact details. Feedback from our stakeholders indicated this had caused confusion about who to contact, as well as potentially delaying our response to queries. The benefit of the consolidated email address is that your queries will reach the appropriate inspector sooner, as well as providing reassurance that the correct location has been reached. Over the next few months you will notice the respective websites and references to the old email address being updated. The glp@mhra.gov.uk email address will remain active for a while to aid with the transition and to ensure all queries are addressed. Don’t miss the next post, sign up to be notified by email when a new post comes out. It pays to be compliant!